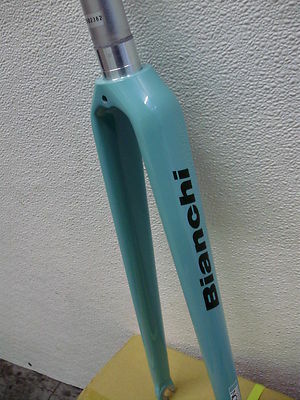 brand new Bianchi Super Pista frame with seatpost binder clamp,1 1/8" fork and Tange headset for sale.Fork is drilled for brake.Frame is NOT drilled for rear brake. Frame is made of 7005 Double Butted Alluminum;Fork's blades are Carbon fiber ,seeerer tube is alluminum. seat tube center to top- 53cm. top tube center to center - 53.5cm.